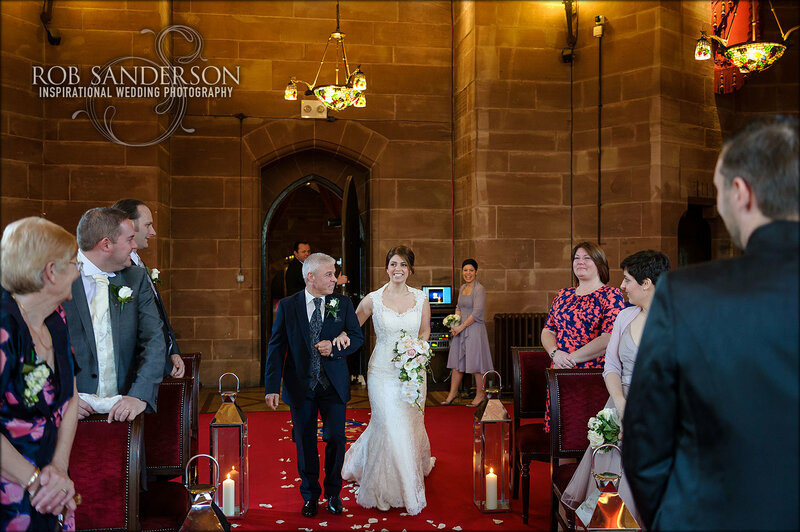 Peckforton Castle weddings are simply stunning. This is a gorgeous wedding venue. You have to see it, words can hardly do it justice. The emphasis here is on exclusivity and luxury. With a style, that combines contemporary and modern with fantastic heritage. 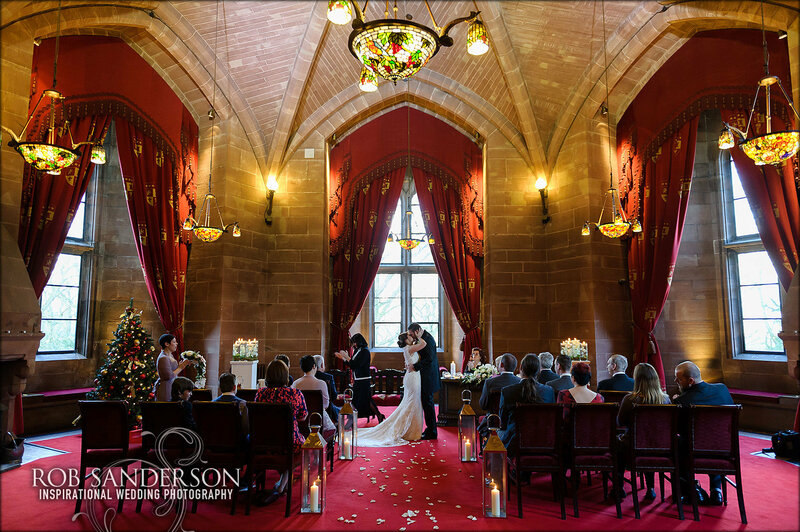 If you are looking to have your wedding at Peckforton Castle, you have good taste! 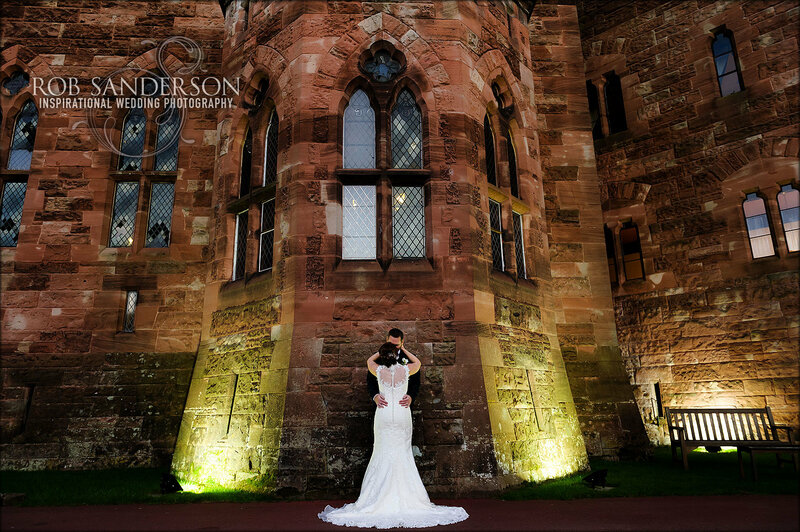 Peckforton Castle is one of those unique venues that combines modern and contemporary with traditional surroundings. They manage this in a manner that works well. The 1851 Restaurant has 2 AA Rosette Awards and serves fantastic food. There is also the 2010 Brasserie at Peckforton Castle. As a wedding venue, this unique place provides couples with everything that they could wish for. It’s a modern wedding venue with traditional values. The level of quality in service and facilities on offer are clear. There is a unique twist to the wedding service. Your rings can be delivered by an owl during the wedding service. The Cheshire East registrars are fantastic. 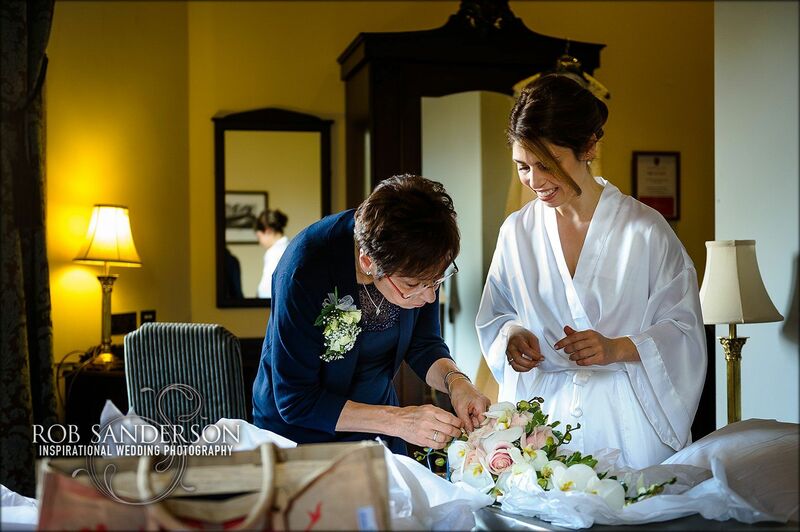 I’ve worked with them on many occasions both here at Peckforton Castle and other venues throughout Cheshire. They are always friendly as well as professional. As well as performing a lovely wedding service they also go out of their way to make sure you get the very best wedding pictures. They give full access to photographers during the service. This access makes for the perfect record of your day. 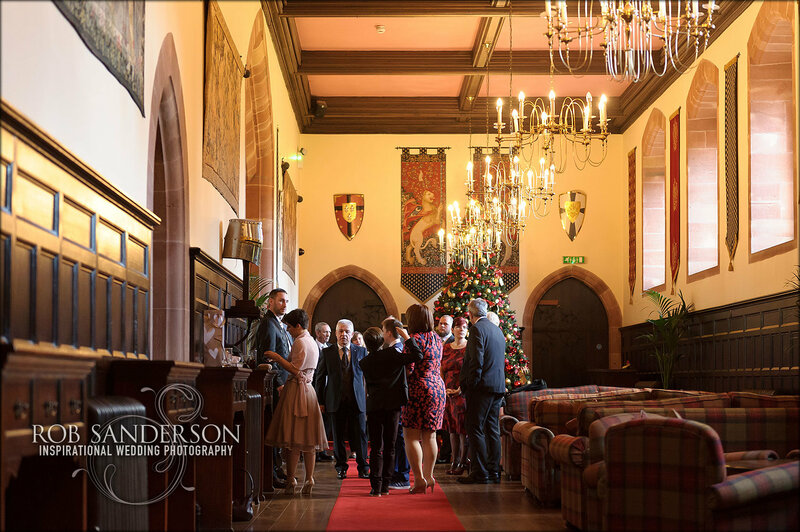 From my wedding photographer’s point of view, Peckforton Castle offers something unique. The surroundings and architecture are wonderful backdrops as is the interior. Venues with heritage and architecture like Peckforton Castle have a level of detail missing from modern wedding venues. This grandeur is only emphasised by the ravages of time. All of these aspects combine to create a stunning wedding experience. The venue also offers exclusive luxury accommodation for your wedding guests. It has 48 individually designed, bespoke bedrooms. Following the style of the venue, all bedrooms are designed to reflect the heritage. Again this is with a distinct emphasis on contemporary modern and designed with luxury in mind. From under floor heating to hospitality trays. Every aspect of your stay at Peckforton Castle is catered for. They even offer 24 hour in room dining. This all helps to make your event a fantastic celebration for you and your guests. 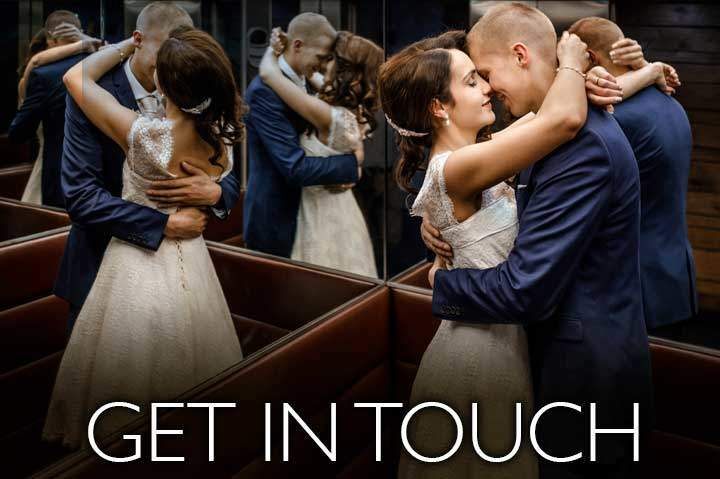 It creates a wonderful, relaxed atmosphere and makes your wedding day memorable for everyone. In a venue this spectacular, your wedding photography has to also be one of your top priorities. 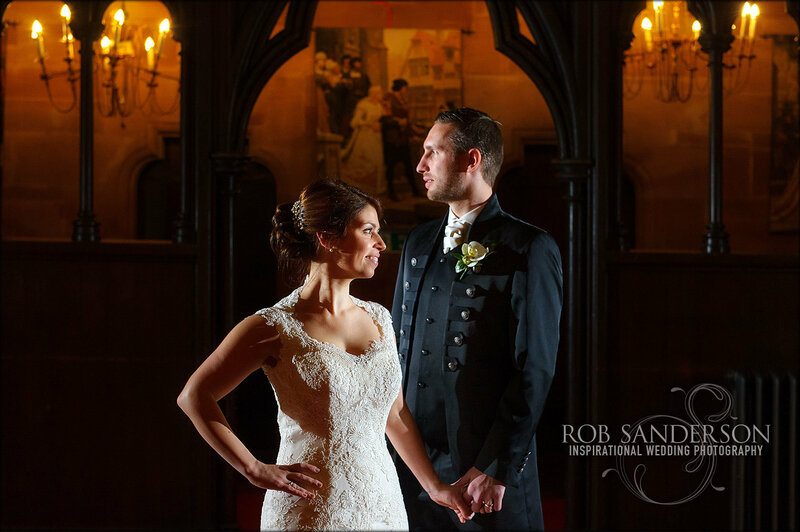 As beautiful as Peckforton Castle is, to the inexperienced it can be a tough venue to photograph. You really need a photographer with the necessary skills and experience to shoot in dark venues like this. I’m not trying to use scaremonger tactics here. If you read my other guides you’ll find it’s very rare I give this warning. Bear in mind it’s a dark venue at any time of the year. Windows are small and leaded which let in very little light. However, knowing how to use that light well make wedding images at Peckforton Castle all the more striking. 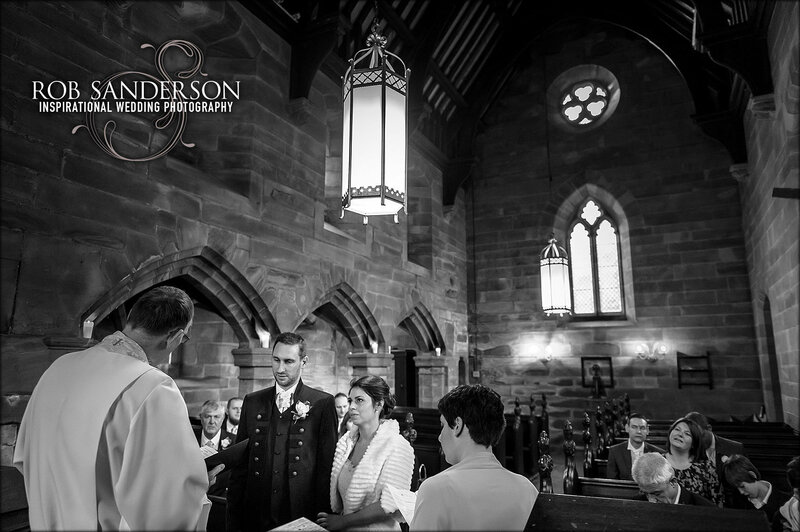 As a professional Cheshire wedding photographer, I find the light in Peckforton Castle is as beautiful as it gets. As you can see from these pictures, used well it creates a real depth to photographs taken here. There is also lots of space which allows me to move around freely and make beautiful compositions. The details and the backgrounds on offer are also second to none. 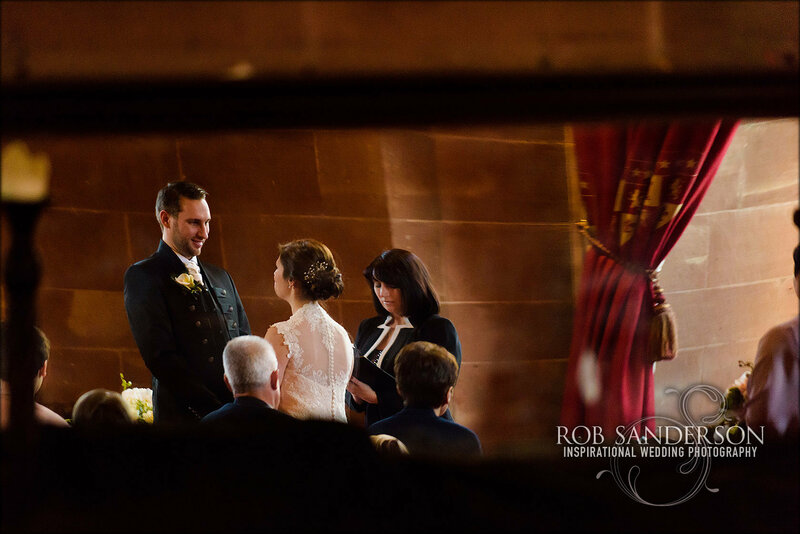 These are just a few of the many reasons I love wedding photography at Peckforton Castle! Follow the links below to find other wedding venues I have reviewed.